Abusive head trauma in children is estimate to affect 17 to 29 children out of 100,000 every year. The condition is all known as SBS or Shaken Baby Syndrome. Male infants of age less than a year and belonging to poor socio-economic background are found to be affected this condition more than others. Nearly 30% of affected children die while the equal percentage of them turn severely neurologically deficit. Traumatic death is mainly caused by physical abuse to infants. Misdiagnosis is as high as 34% of the reported cases despite the awareness of SBS among medical professionals. This means that incorporation of greater technology is needed in this field. RetCam is a digital fundus camera consisting of contact fibre-optic that has 120° field for rapidly capturing images of the fundus. The camera was primarily made for pre-term retinopathy and has been tested to estimate various abnormalities such as optic nerve changes, nerve head cupping, etc. Though abusive head trauma is not related to ophthalmology, pilot study has revealed that RetCam fundus camera can be useful in screening infants suspected with the condition. RetCam was used on a number of children who were highly suspected to have suffered from head injury and the results were compared with that of ophthalmoscopy. All children with suspected abusive head trauma within a period of 3 years underwent gold standard funduscopy, skeletal survey and MRI and/or CT scan of their head and fundus. Children below 3 years of age with intra-cranial haemorrhage, coma due to unknown cause, who fell as reported by caretakers but without any witness and their siblings were included under suspicion for the condition. Imaging was performed after tropicamide and 2.5% phenylephrine. Oxybuprocaine was used for surface anaesthesia. Abusive head trauma was reported in 6 of the 21 children who underwent the test study. Another 15 children were admitted with conscience disorder due to unknown reason and 10 among them were confirmed with physical abuse, growth retardation, dehydration and cutaneous haematomas. Neuroimaging results revealed that 85.7% of children had intra-cranial haemorrhage. The fundus camera was able to generate readable images for every examination conducted. Subtle, moderate or severe retinal haemorrhage was found in most cases, relating them to ophthalmology. Retinal and unilateral haemorrhages related to SBS were found in 8 and 3 children respectively. Besides, the camera reported an occurrence of macular fold, which was confirmed by ophthalmoscopy. After complete social and medical assessment, 14 children were confirmed with SBS. Ophthalmoscopy was helpful in the differentiation of haemorrhages. RetCam exhibited 100% sensitivity and 85.7% specificity in comparison to ophthalmoscopy, which was considered the only gold standard. Retinal haemorrhage is common among children with abusive head trauma and fundus camera is has been proven effective in screening and detection of the same. Ironically, RetCam examinations require minimal training and can be performed at the bedside of patient. It is useful in paediatric ICUs where rapid decisions have to be made while dealing with SBS. 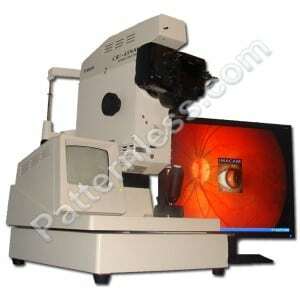 The digital data thus obtained can be remotely assessed and used for later comparisons and studies in ophthalmology. Author Bio: Tony Rollan provides consulting services to VSI (http://www.patternless.com/) and he is an author of many articles on all types of optical and ophthalmic equipment. Author talks about medicine, health, alternative healing, sport and well being..
Next PostNext What is non-contact tonometry?